I finally got the paint colour I wanted and finished this dress. I love the sound of "burnt umber". It sounds so autumnal and perfect for a tree I think. Usually paint colours' names are, um, creative, but this one just sounds right. 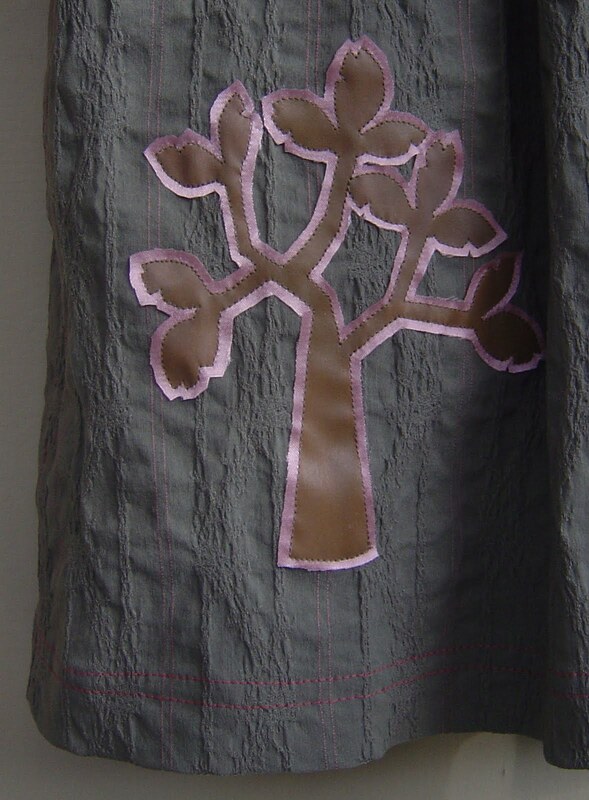 Anyway, this is what burnt umber looks like painted onto dusky pink satin, sewn onto a sage green dress. Now, do I keep it or sell it? I still haven't tried it on Isabella, largely because she has a cold and I keep envisioning a huge messy sneeze just as I pull it over her head, and then deciding that it isn't her colour and I shouldn't keep it. 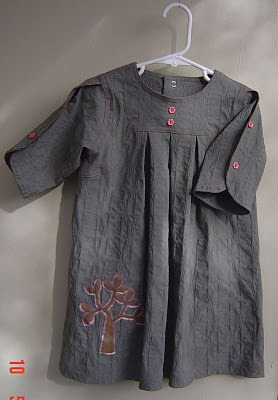 The other finished garment is this dress. Another one I really like - oh how I love seaming concave and convex curves together - especially with piping in the seams. Oooh, both are lovely, but the paneled one is amazing!! 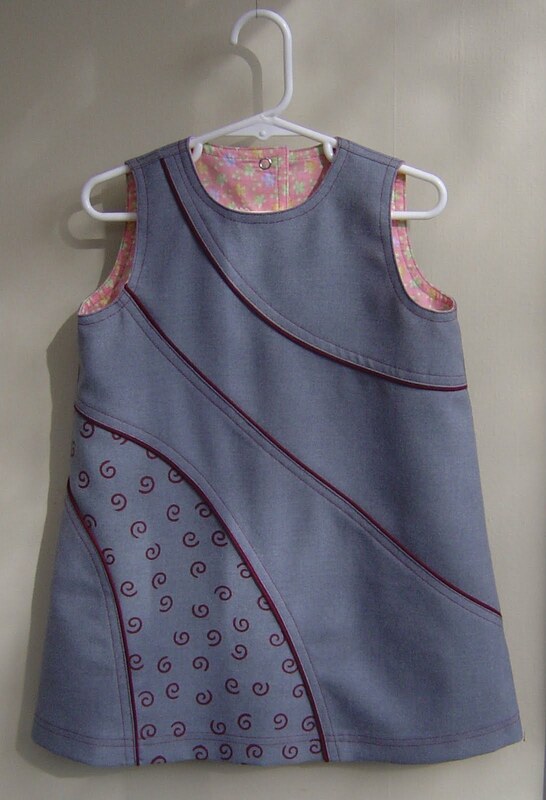 You could almost make me want another little girl to wear your creations. Almost. ;) I especially like the paneled one. Both are lovely, your girl is lucky! I wouldn't be able to let go and sell these, they're so cute! I really wish you'd sell your patterns. These are beautiful! 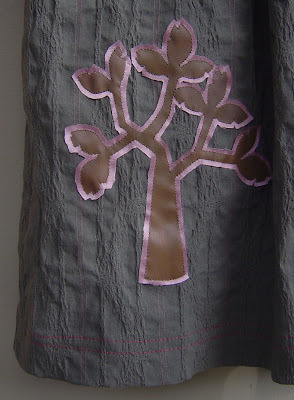 What pattern did you use for the tree dress? I love both of these. It's fun to see the subdued styles and colors given the sea of frilly pink girl clothes. What a difference a skirt makes!